Gotta keep my husband fed! I have the wonderful opportunity to meet Patrick for lunch every few weeks at work. 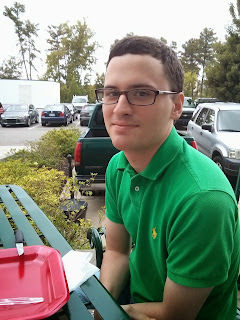 Spending lunch together is one of my favorite things to do! I think he seems happy that I brought him a picnic?! 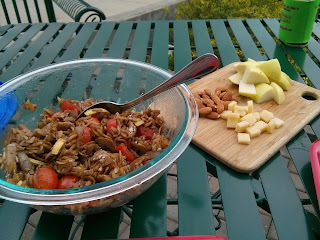 For the picnic I brought an apple, cheese, and almonds as well as an orzo dish. While boiling the orzo according to package directions, I sauteed squash and onions. Once they were tender I added cherry tomatoes then I deglazed the pan with balsamic vinegar. By this time the orzo should be done. 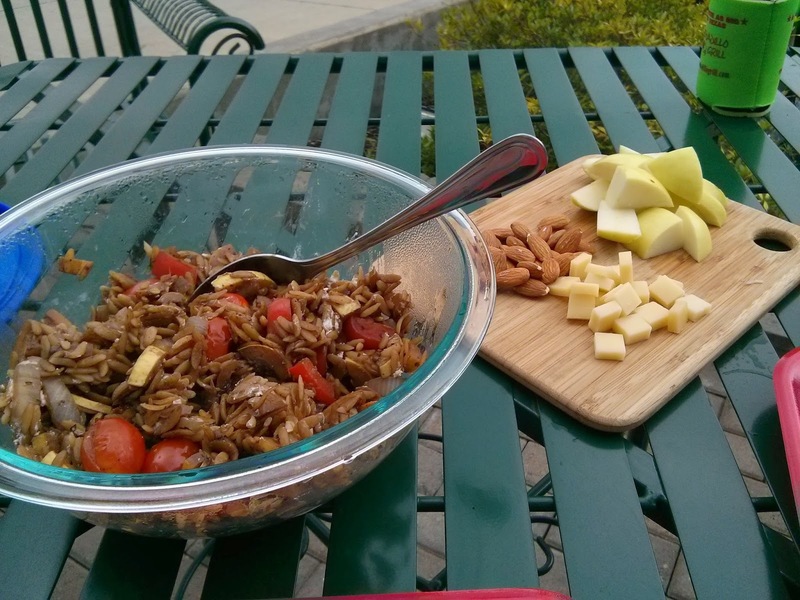 Drain the orzo and then mix everything together. This is one of our "easy" dishes because we can use up whatever veggies are in the fridge and it always tastes yummy!